It is very important to keep revisiting one’s code – especially, when the underlying platform changes or when teams start using newer features within legacy code. But, can things really be this simple? The simple answer: NO. 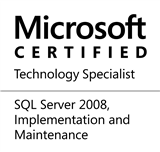 Up until SQL Server 2008 came around, the sole purpose of DECLARE was to ‘define’ objects. Unless something was horribly wrong, this statement was pretty harmless. However, because the purpose of the DECLARE is not to define & assign, things get a little bit complicated. The assignment part of the DECLARE keyword can now raise an exception. Here’s an example. Because DECLARE would not generate an exception, it was okay to have the DECLARE statements outside of the TRY…CATCH blocks. Because we are trying to assign a text value to an Integer field, an exception would be raised within the TRY block and caught by the CATCH block. Attempting to perform both the definition and the assignment using a DECLARE statement, outside of the TRY…CATCH would result in an unhandled exception. Conversion failed when converting the varchar value ‘abc’ to data type int. The solution is very simple – wrap the DECLARE within a TRY…CATCH block. The output would be a handled error, as demonstrated in the above screenshot. This entry was posted in #SQLServer, Blog, Imported from BeyondRelational and tagged #SQLServer on March 26, 2012 by nakulvachhrajani.